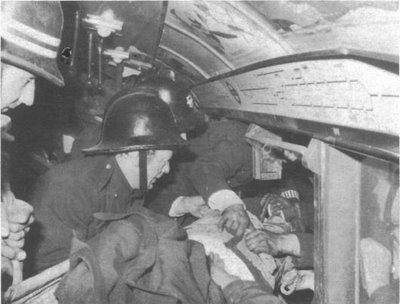 The Moorgate tube crash was a railway disaster on the London Underground, which occurred on Friday February 28th 1975 at 08.46 am. A southbound train on the Northern Line (Highbury Branch) crashed into the tunnel end beyond the platform at Moorgate station. 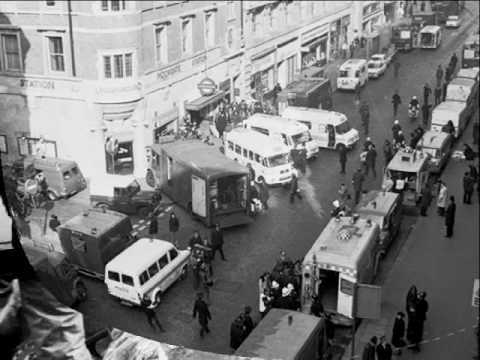 Forty-three people were killed at the scene, either from the impact or from suffocation, and several more subsequently died from severe injuries; the greatest loss of life in peacetime on the London Underground, and the second greatest loss of life on the entire London Transport system (the first being the 7 July 2005 London bombings). The cause of the incident was never conclusively determined.